Vintage Knob that was used on UREI and other Audio gear. 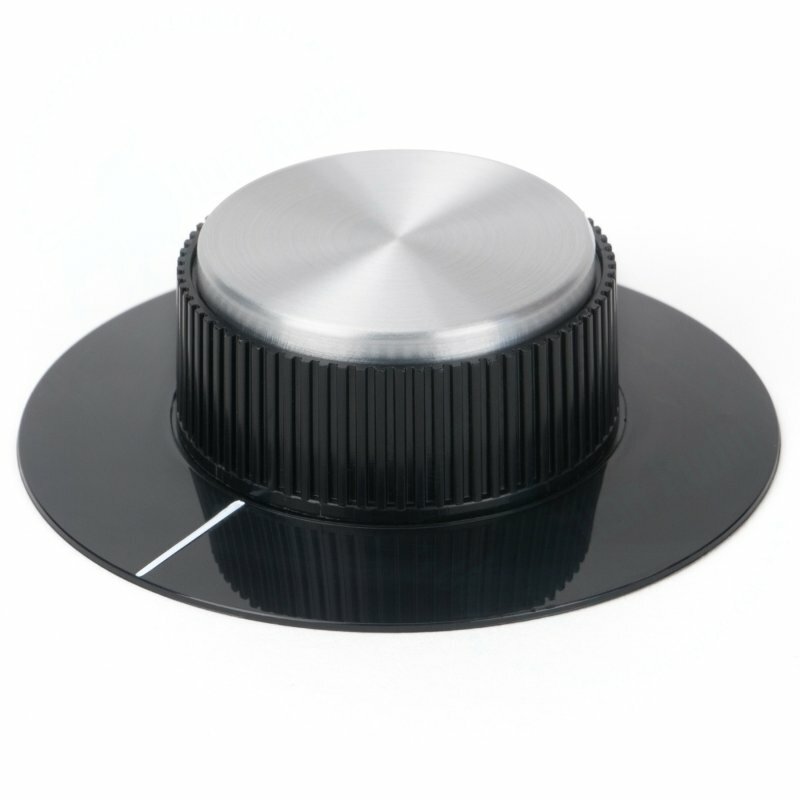 Skirt Diameter 77mm, Aluminum Cap and two set screws. Shaft 6,35mm (1/4"). Knopf-Durchmesser: 44mm.